Artemis Russell is an artist, jewelry designer, and the fabulous writer behind the blog Junkaholique. After graduating from Falmouth University in Cornwall, England, she began designing and selling jewelry with her husband, Nao Utsumi. 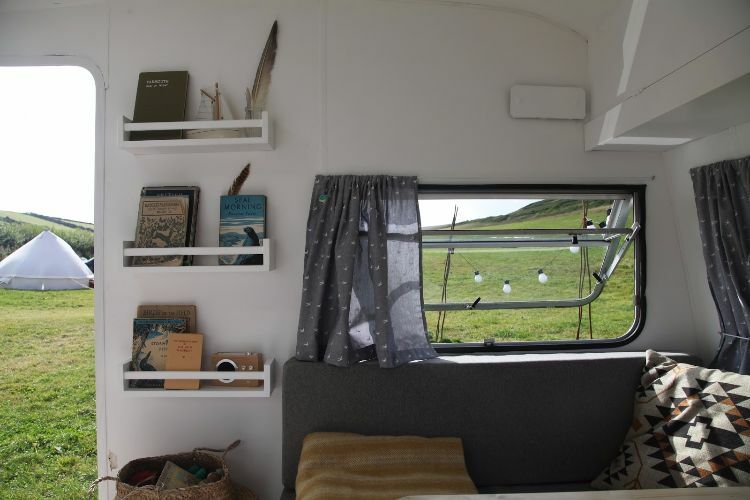 The couple and their two children were fond of their Volkswagen campervan, but they desired something with a little more room due to their new addition. 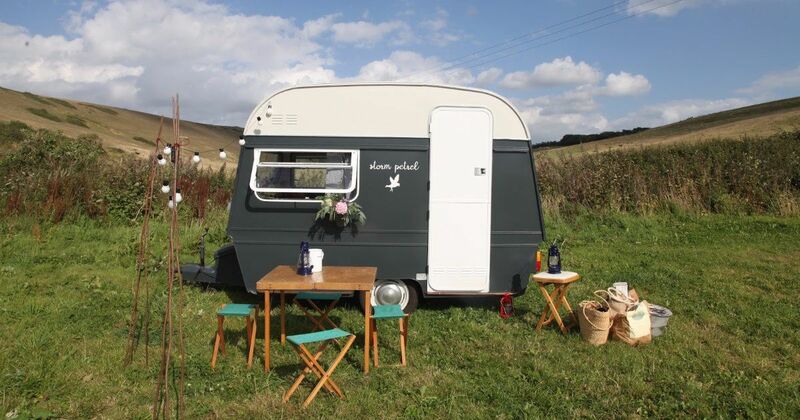 After winning their 1977 Thomson Mini Glen on eBay, they were thrilled to renovate the tiny caravan and use it for their business events and family adventures. Since brown was a popular color in 1977, the family had a lot of work to do when it came to painting the walls and ripping out the shag carpet. In the end, the results are astonishing. Check it out for yourself below. They replaced their laminate dining table with a real pine replica for a more natural look. 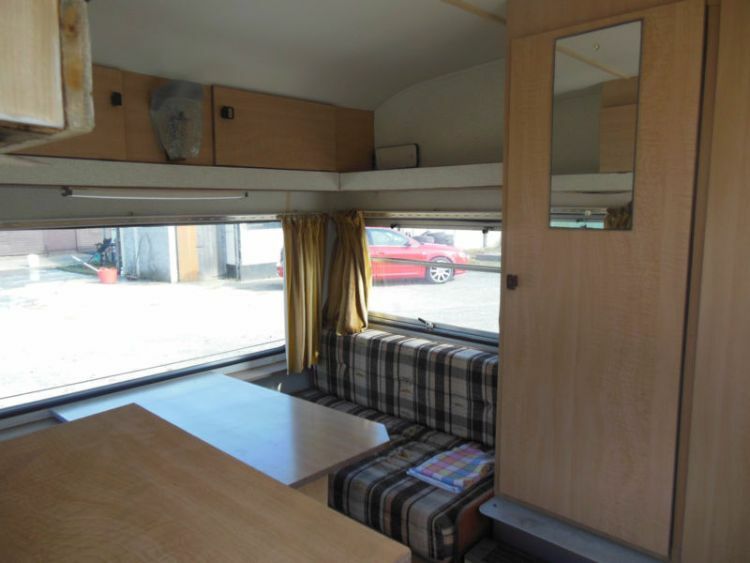 One of their favorite parts about their new camper is how much storage they have underneath the seats and above their heads. 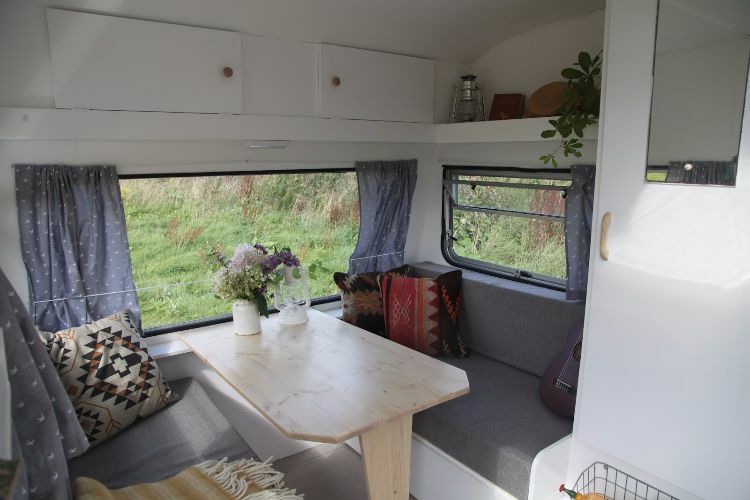 They transform their dinette into a cozy bed at night. 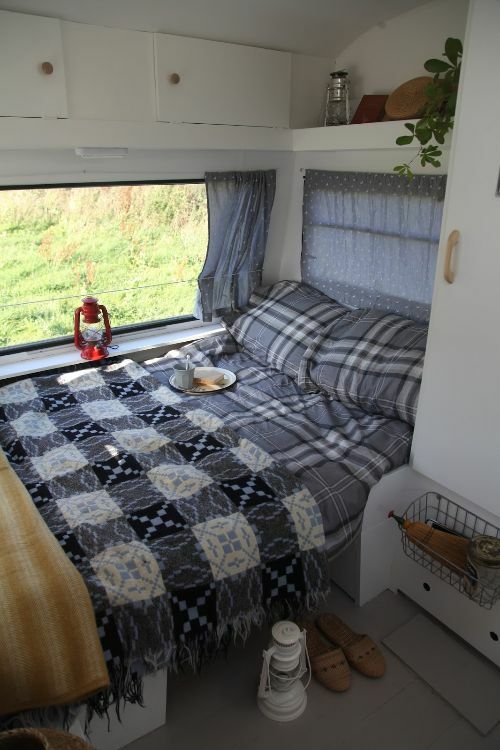 The large windows are great for feeling like you are lying under the stars despite being in bed. These adorable shelves keep the family's favorite reads easily accessible. 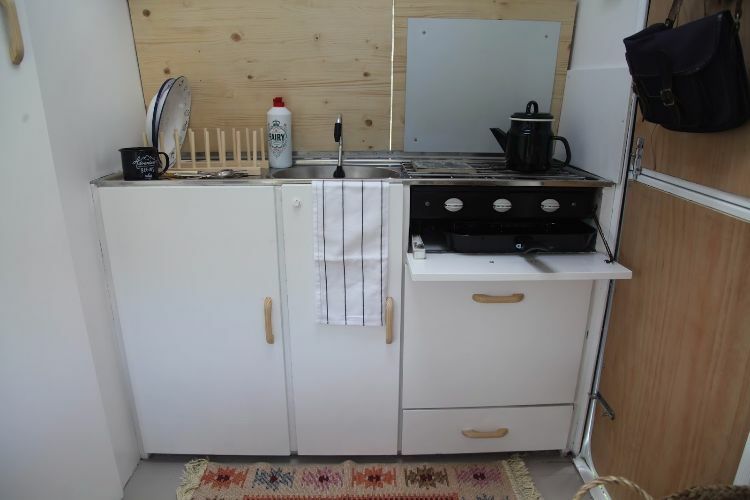 Artemis and Nao replaced all of the brown cabinet doors, giving their small but functional kitchen a fresh, clean look. 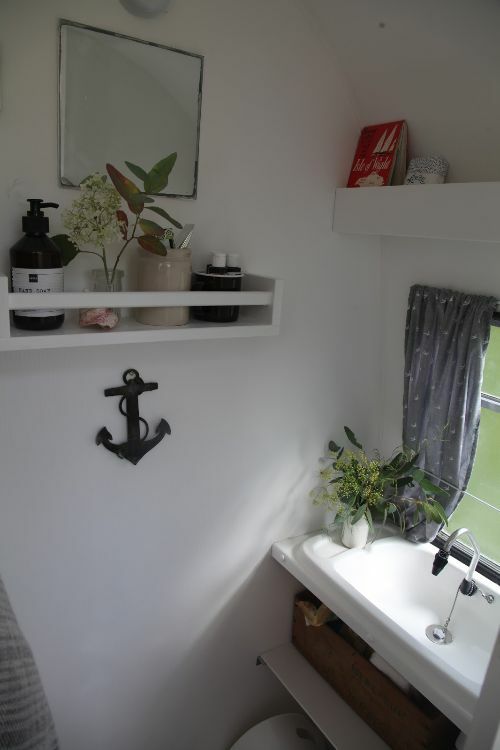 "I love this tiny room the most," Artemis says as she describes the caravan's washroom. 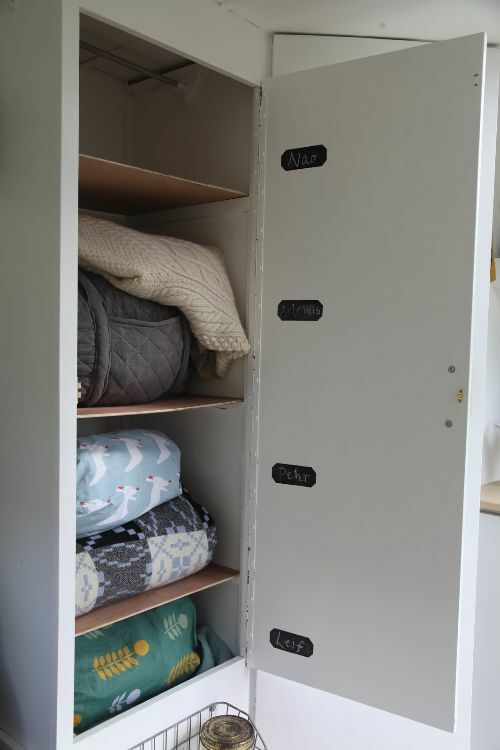 "Nao put a handy shelf under the sink for nappies and wipes etc...and the potty and wash tubs go underneath." They even created shelves for each member of the family. Here's what it used to look like. It's like a completely different camper, isn't it? Inspire others by sharing this amazing renovation with your friends on Facebook and Pinterest!